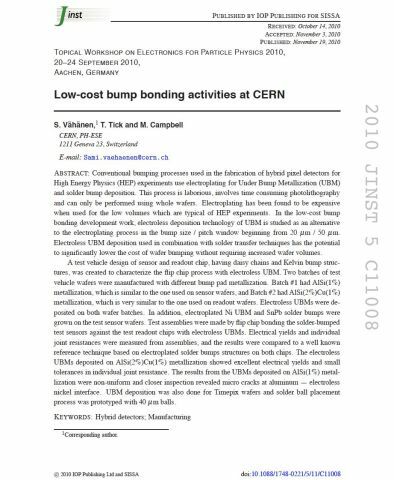 This paper deals with reducing the cost of flip chip of silicon pixel detectors. The focus is set in testing of Electroless- Nickel – Immersion Gold (ENIG) UBM process on top of different aluminium metallization and its soldering yield. In addition novel solder ball placement technique has been tested directly on the ENIG UBM pads.